HMAS Warramunga (Commander John Hielscher) took over duties from HMAS Ballarat to provide an ongoing contribution to the rehabilitation and reconstruction of Iraq. This included the important work of protecting Iraq's offshore export oil terminals and monitoring, intercepting and boarding vessels suspected of illegally trafficking cargo that diverts funds from the Iraqi economy. This was HMAS Warramunga's first deployment to the Middle East region. 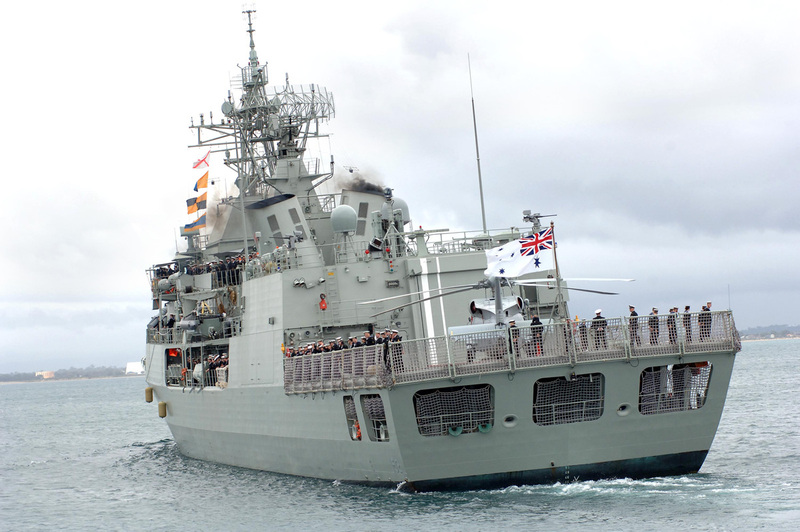 HMAS Warramunga departs Parks Wharf at HMAS Stirling for a six-month deployment to the Middle East region.